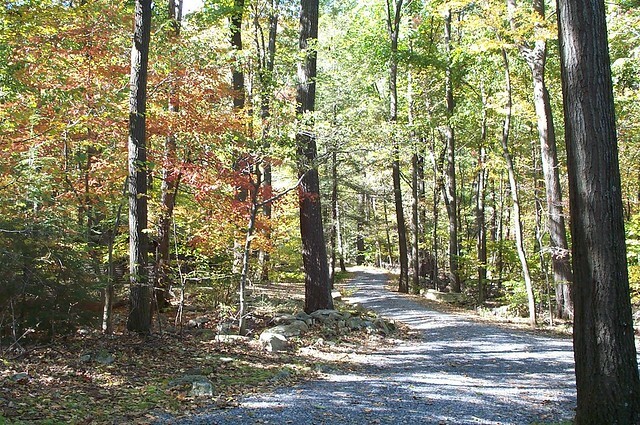 Tucked in the side of Conococheague Mountain, Big Spring State Forest Picnic Area is a quaint picnic and hiking spot. A short loop trail leads to a partially completed railroad tunnel with historic information at the trailhead. The park also provides access to the Iron Horse Trail for day and overnight hiking. The park takes its name from nearby Big Spring, whose waters form the scenic Shermans Creek. The 45-acre Big Spring State Forest Picnic Area is 5.5 miles southwest of New Germantown, Perry County, along PA 274. Driving Directions: The Interactive GIS Map driving directions has turn-by-turn driving directions to the park office from the Park Information Window.